Tiffany Chu has beef in her blood — figuratively, anyway. Chu, the owner of Pho Tan Vinh, a Vietnamese restaurant in downtown Silver Spring, grew up in Vietnam, where she learned all about beef in her grandfather’s butcher shop — also called Pho Tan Vinh. “We make our own broth from bones and remove the fat, so we have a low-fat, high-protein broth” in the pho, or soup, Chu said. Plus, she said, hers is the only Vietnamese restaurant in the area that serves tenderloin. Chu keeps close tabs on quality. It helps that the only head chef the restaurant has had in its four years is her brother. “It’s a challenge to prepare fresh food, with the same taste every day, and hiring good people,” she said. Chu is no stranger to challenges. She was one of the million-plus “boat people” who fled Vietnam in 1983, eight years after the fall of Saigon. She was 14, without family, and knew no English. After a year and a half in Malaysia, she immigrated to the U.S., living with a sponsor family in Takoma Park. She later moved to Northern Virginia, where she learned the restaurant business. She worked in a restaurant there, starting as a dishwasher, then a server, then prepping food in the kitchen. Pho Tan Vinh has other Vietnamese dishes on its menu, but pho — with noodles, vegetables and either chicken or several kinds of beef — is the most popular. “It’s comfort food,” Chu said. When she was sick in Vietnam, her grandmother would serve it up with chicken: a truly pan-cultural homemade remedy. The restaurant’s sales are split about evenly between lunch and dinner, though there’s more takeout business for dinner. Her clientele comprises patrons of many ethnicities and races, she said, a reflection of the Silver Spring community, although it leans more Vietnamese in the evenings and weekends. 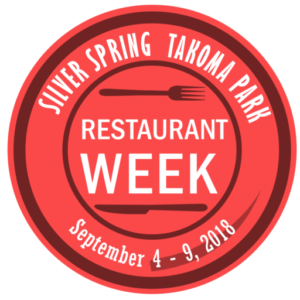 Pho Tan Vinh is again participating in the fourth annual Silver Spring Takoma Park Restaurant Week, which runs Sept. 4-9. The restaurant has participated every year, and every year it’s boosted business, she said. This year, Chu said she and her brother are looking at offering special seafood dishes during Restaurant Week. The area’s rich cultural and ethnic diversity — there are four Vietnamese restaurants alone in town, she said — appeals to her. “I love this area, all the different cultures,” Chu said. In fact, Pho Tan Vinh isn’t Chu’s only business venture in Silver Spring: For about a dozen years, she’s also owned Kibana — a hair salon and spa once featured on a TLC makeover show — around the corner on Ellsworth Drive. So what does “Pho Tan Vinh” mean in English? “New Prosperity,” said Chu, who apparently has found it in her adopted homeland. Pho Tan Vinh, at 8705 Colesville Road, Silver Spring, is open daily. Its phone number is (301) 588-8188 and its website is photanvinh.com/.